You know, that was my first thought when I saw this thing earlier. It has not been announced yet what or who is responsible for the destruction of Notre Dame Cathedral. But if it should turn out that it was Islamic Jihadists who started the fire, then that could be the end of Islam in Europe. The first step toward civil war. But I still believe it will be an Islamic attack directly on the Papacy that will be the final trigger of a civil war that will eliminate Islam from Europe, involving the deaths of millions, and possibly including the nuking of Mecca. Even if Islamic Jihadists did not start the fire, the jubilation of some Islamics that we have seen so far will weigh heavily against Islam in Europe from now on. Why stop at Europe, eliminate them from North America as well failing which bleeding heart liberals will lobby to have them come here as persecuted refugees. I believe the initial fire was an accident, originating from construction work on the spire. Once that 800-year-old wood ignited, there was little to do to contain it. Perhaps the Islamists celebrating its demise will harden a few hearts, but they have never been shy about calling for the deaths of infidels and the destruction of all things not Islamic - but they always manage to appropriate the architecture and essence of conquered infidel cities and nations. and call it their own. One action to come will be the investigation of the lack of thought on possible calamities and what to do about them. There were so many things that should have automatically kicked in that didn't. Two centuries ago, Notre Dame was falling down and decrepit. Napoleon decided to make it his personal project and brought it back from sure destruction. I'm sure the church and state will work to rebuild, but what is was is surely gone forever. We've learned a lot in the past few years about building to last. Whatever comes will be impressive, but never the same. I doubt the construction companies have enough insurance to cover the losses, many will be driven into bankruptcy. Well this is interesting news, if correct. Here's something else of interest. And not to be overlooked. And note that there is no mention of muslims initiating the actions. I wonder what that really means? (04-16-2019, 09:59 AM)John L Wrote: I wonder what that really means? Simply that the incidents related to Muslims are systematically under-reported. 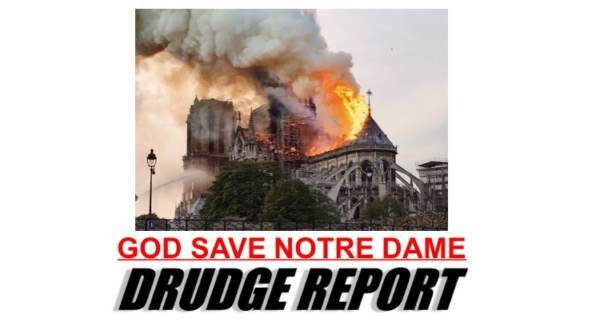 And if the Notre Dame fire turns out to be a Muslim work there is no guarantee this will be reported either. Non-PC. If it really is true, I'll bet it will be the turning point in the Islamic conquest of Euro-la-la-Land. There is always a point where the "Law of Diminishing Returns" is reached and the reversal begins going the other way. And this law pertains to more than just economics. The backlash is overdue, and this may well be the jolt that does the trick. This raises a serious question. 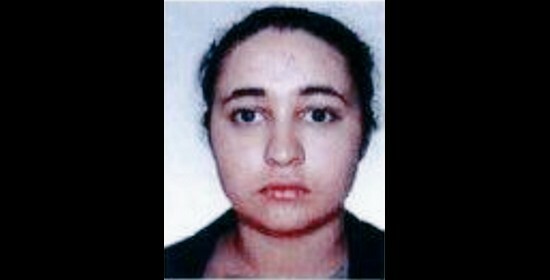 France is supposed to be dedicated to a strict separation of church and state. Can the French government legally participate in the rebuilding of a cathedral? It would be clearly unconstitutional in the USA. It has been reported though that the French government has contributed something like $40 million to the upkeep and renovation of this well-known French tourist attraction in recent years. So even though France is a very secular nation, at present, apparently separation of church and state may not mean the same thing that it does in America. I wonder what construction techniques might be used. It was reported on Fox News Channel that some 40 acres of forest provided the lumber that went into the original construction of the interior of Notre Dame Cathedral, and that for this reason, some people over the years have referred to the cathedral as "the forest." Is it likely that the rebuilt cathedral will have the same amount of wood used in its interior? Or will they go for more economical, easier to use, and more fire resistant modern materials? And would traditionalists accept that, without being obstructionist? Under-reporting? Surely true, I see many stories on either Russian or minor European sites that just do not make it to MSM. As for the Muslim origins of this : well.... other possibilities exist. Yesterday there was a long discussion on a forum I'm on, analyzing photos and movies... the conclusion was that there were multiple starting points of the fire. No guarantees, but this did look quite plausible, and this means not an accident. But someone else could have been responsible too.... for instance a crazy yellow jacket guy.... a movement like that always attracts unstable people, and they did burn cars already. I would not dismiss Macron either -- he needs to end the yellow jacket mess! Heck, I'd not dismiss Pavlenskij.. he is in Paris, and for him burning down something big is a form of art! Ron Wrote: It would be clearly unconstitutional in the USA. If a church is designated as a historical monument -- and there are such in NYC -- then the state can participate just fine. As for rebuilding : 40-50 years per one expert. By that time France will have no Catholics alive.... so what's the point? Many odd views of the fire. Rush noted there have been thousands of arson attacks of Christian churches in France, which if were Black churches in America, would be ballyhooed on the media for only a few dozen and blamed on White Supremacists. If truly there were no construction workers at the origin of the fire, then definitely this could be no accident, but arson. Arson is historically hard to prove. When I was Senior Creative Director for the Criminal Justice Institute, we researched arson, and produced the first robust programs of teaching arson investigators how to do their jobs. 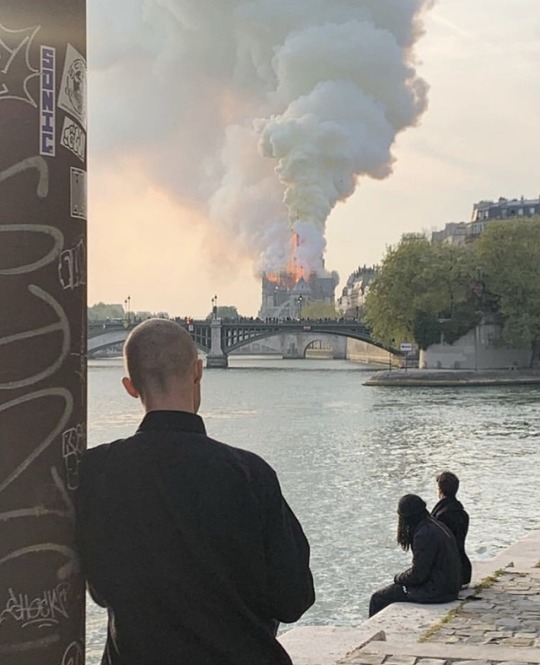 For a fire such as Notre Dame, there is no evidence left to pinpoint the source of the fire. Much anti-Trump media have hysterically called any Trump statements on the fire as "uninvited" or "unwanted". Odd, since Trump is the foremost Construction expert in the entire world of politics. It took over two hours for French fire-fighters to get to the scene. I heard French officials claiming they couldn't use air-dropped water onto the fire, because it would compromise the remaining building. Trump pointed out the roof was already destroyed by the time air-drops would have happened, and such action would have been far safer than all other attempts to fight the fire. But no need to listen to an expert. when Lilliputians can act big. Would they have complained if it had started raining? Bill Whittle has some sound advice for the French to ponder, as they live with the Notre Dame Fire which almost destroyed it.